Looks funky as all get out but man this thing is comfortable. Has a really great weight and feel to it. I don't know why anyone would want to remove any of the weights. Do wish the Sniper button was illuminated. Perfect fit in my hand. Nice cross between a little 'claw' mouse and a 'palm' one. The sides have a roughness to them that feels nice, and the overall weight is a nice change of pace from the plastic mouses out there. Great mouse, I was previously using the non-RGB version. Feels like an air hockey puck on the Corsair MM400 mouse mat. Great weight, which is adjustable. Uses Corsair CUE software to control DPI and color. This mouse has all the bells and whistles that I never knew existed, I am never turning back to another mouse! Heavy, but good for palm grip for medium to large hands. Laser sensor. I use it as a browser and would not game competitively with this. Bought it because my mx master didn't have rgb lighting like my k95 and didn't have matching colors. 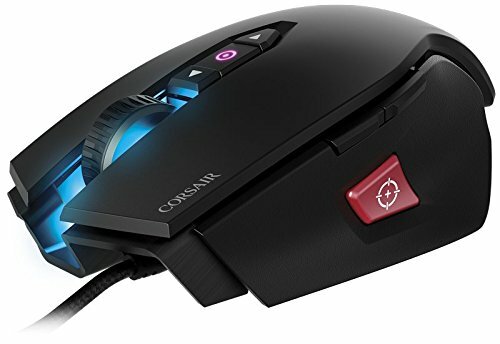 It has high sensitivity, it feels nice to hold due to its unique texture and aluminum body, it has built in weights to customize the feel of the mouse, and has a switch to quickly adjust the dpi as well as an instant dpi switch key (or the sniper button). Overall, would recommend. Very comfortable, the RGB effects work well, but the "sniper" button isn't very useful and just kinda gets in the way. Also not a big fan of the Corsair Gaming love-bat thing. Corsair M65 RGB i bought this back when corsair had the tramp stamp logo. 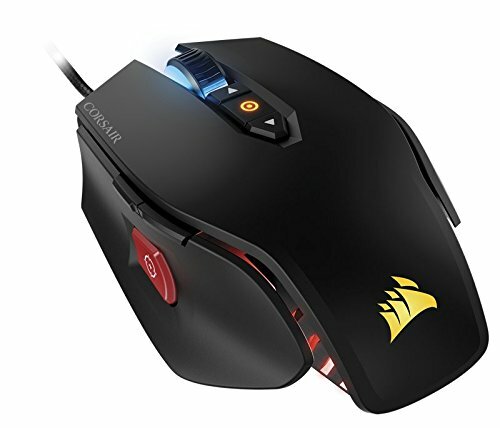 still a great mouse for first person shooters gets the job done and is RGB! Have no problems. 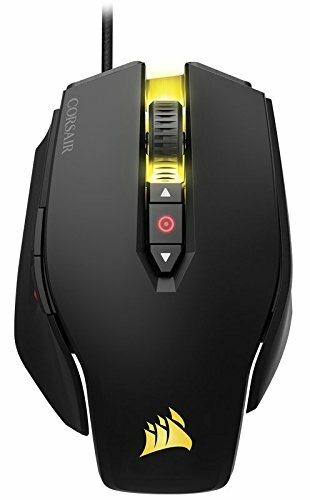 Syncs with RGB keyboard from Corsair and looks good.